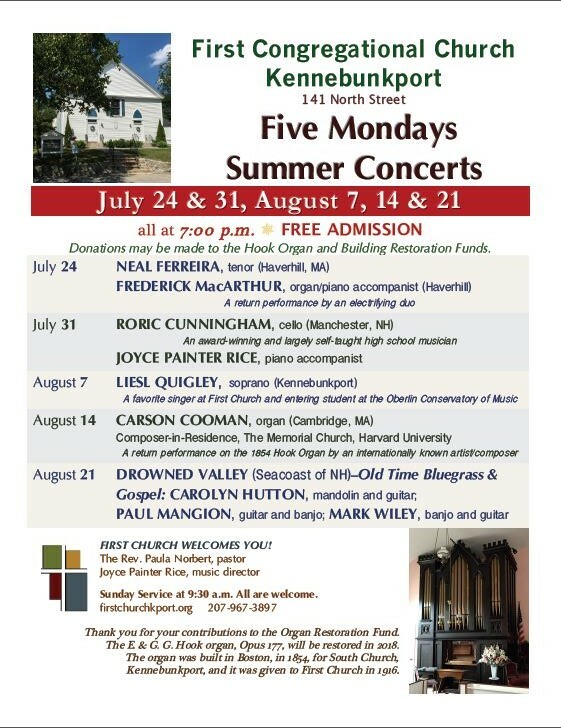 Join us for our final second Sunday concert and watch for upcoming summer events. 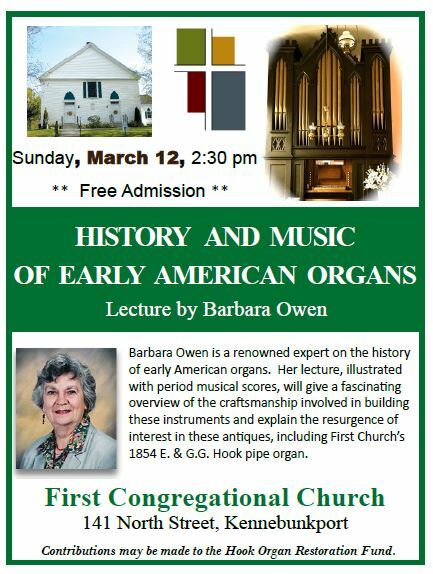 On March 12, 2:30 p.m., Barbara Owen will present a lecture, illustrated with period musical scores, about early American organs with a focus on the E. & G.G. 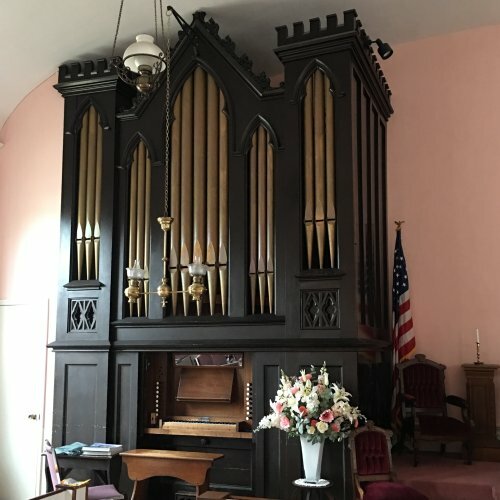 Hook Organ Co. and its opus 177 instrument at First Church. Postponed from February 12. 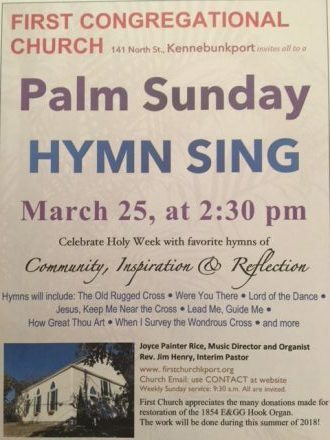 The second concert of 2017 will be held on Sunday, February 19, at 2:30 p.m. in the sanctuary. 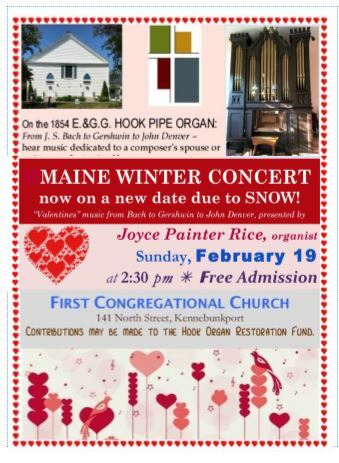 This Winter Concert will be presented by Music Director Joyce Painter Rice on the 1854 E. & G.G. Hook pipe organ and the 1905 Steinway upright piano. It will include tributes to love in a range of musical scores from J.S. Bach to Gershwin to John Denver. Our series of second Sunday concerts continues on January 8 at 2:30 p.m. The featured artists are: Frederick MacArthur, organist and Neal Ferreira, tenor/opera singer. 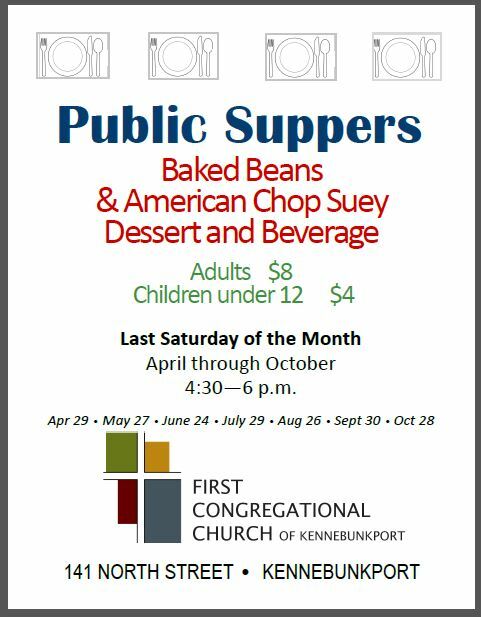 MacArthur attended one of First Church’s August concerts and has generously offered to play in January. We are fortunate to welcome such a talented lineup of musicians from throughout the New England area. Please join us. In 1916, South Congregational Church in Kennebunkport, gave its 1854 E.&G.G. 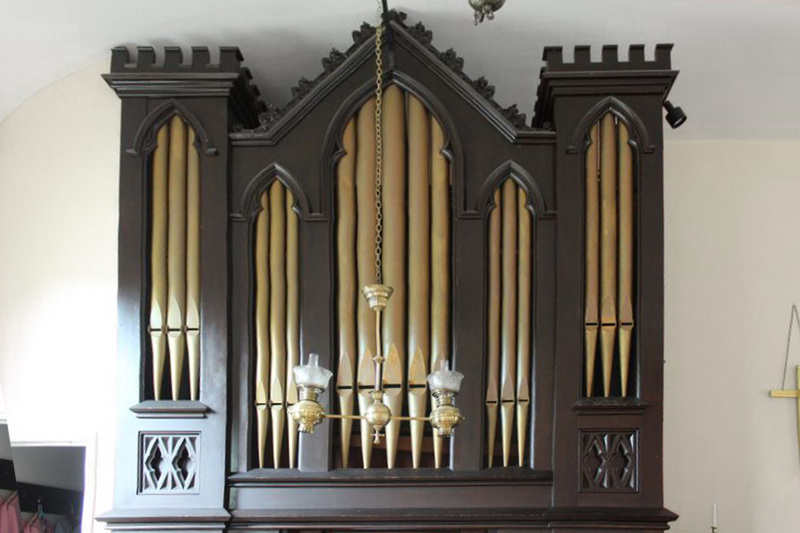 Hook organ to First Congregational Church, Kennebunkport. This event celebrates the 162-yr-old organ, with a concert and hymn singing. Joyce Painter Rice, organist. Cost is Free but donations gladly accepted! For 150 years this historic instrument has been making music. 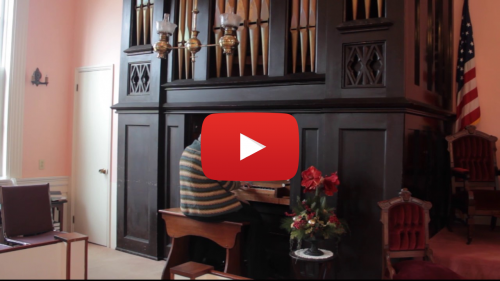 Will you help preserve history and make music by supporting our organ restoration project?